Tesla and SolarCity’s union is still very fresh, but the combined companies are already highlighting what they’ve been able to accomplish even just as partners. 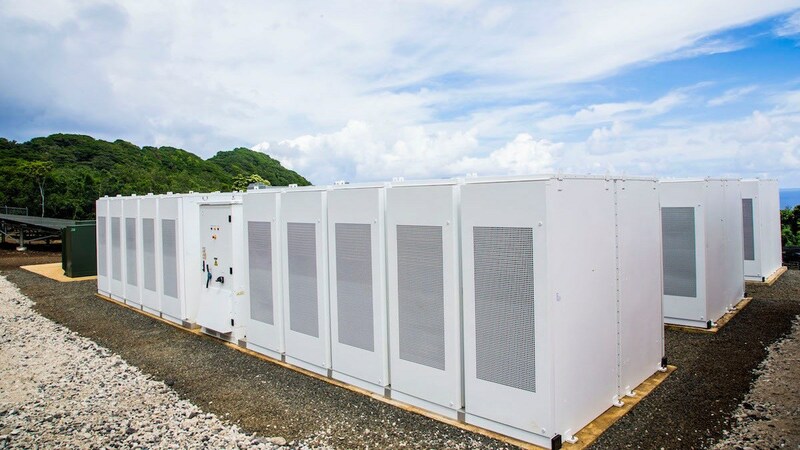 The SolarCity blog details a project in which SolarCity power generation and Tesla Powerpack-based storage helped the small island of Ta’u in American Samoa fix its spotty power problem and cut its reliance on a diesel generator grid. The diesel reliance isn’t new – a lot of island communities rely on burning the fossil fuel in order to maintain an electrical grid. But use of a fuel that must be shipped in at considerable cost and from a great distance poses a number of problems, and leads to a lot of temporary blackouts. Solar’s costs are typically recouped over a long period of time when grid power is convenient and readily available, but the financial benefits should accrue much more quickly when you’re shipping in and burning fuel as your only source of energy. The Ta’u grid project involved creating a SolarCity panel array made up of over 5,300 panels capable of generating 1.4 megawatts of solar capacity, combined with a Tesla Powerpack commercial battery storage facility with 6 megawatt hours of reserve capability across 60 Powerpacks. The resulting micro grid can provide three full days of power for the island’s 600 residents at max capacity, and recharges fully after just seven hours of solid sunlight exposure. Start to finish, Tesla and SolarCity’s Ta’u microgrid project came together within a year. The project was funded by the EPA, the Department of the Interior and the American Samoa Economic Development Authority. Tesla is clearly hoping this acts as an example to other potential customers, and it also shows at commercial scale why Musk believes the solar battery portion of the business will one day exceed the market for Teslas – there are plenty of spots where reliable, independent power holds more appeal than an electric vehicle.